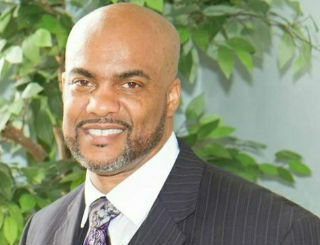 Pastor Ralph E. Holmes, Sr. is a native of Houston, Texas. A devoted husband and father, Pastor Ralph has been married to his high school sweetheart Pastor Sharon (Shay) Holmes for over 38 years. He is the proud father to Ralph Jr., Tyrell, and Jarius; and the grandfather to Tevion, Haley, Bryson and Imani. Pastor Ralph felt the call of God to move on the other side of “YES”. Through his obedience he and Pastor Shay founded Redeemers House of Worship, “The House”, in Belleville, IL in May 2013 where he serves as the Senior Pastor. As a Visionary and Leader, Pastor Ralph is intentional about ministry especially in the community where “The House” is planted. He knows the importance of not forgetting the most vulnerable (homeless, widows, and orphans) among us. Pastor Ralph exercises a policy of community by leading the ministry in multiple outreach activities in the community. As a result of understanding the widespread and chronic epidemic of homelessness, he has led the charge to assist the homeless with attaining access to permanent housing, as well as services to treat their illness. He sits on a council with the Mayor of Belleville, IL where homelessness is being actively addressed and as a result the city is in preparation for an intake and treatment facility for the homeless. Pastor Ralph is committed to ministering to the whole person. Because of his consciousness of concern, families are being healed, marriages are being restored, men are drawing closer to God, women are becoming spiritually whole; and our youth are being equipped to go forth as spiritual leaders in the world. His call into ministry began in Okinawa, Japan while he was serving in the Unites States Air Force. He faithfully served his country for more than 26 years before retiring in 2007. As he developed in ministry, the Lord directed him to lead the Youth Ministry, Youth Choir, Sunday School, Singles Ministry, and the Gospel/Inspirational Worship services throughout his military assignments. In 1992, Pastor Ralph was licensed as a minister in Vogelweh, Germany, through the National Baptist Association. He was ordained in 2005 as an Elder while serving at New Life in Christ Interdenominational Church through the Kingdom Council of Interdependent Christian Churches and Ministries: where he was soon elevated to Executive Pastor. Pastor Ralph fosters the candid belief that the purpose of Redeemers House of Worship is to fulfill the Great commission by proclaiming the Gospel of Jesus Christ either indirectly or directly through evangelism and discipleship. He is a unique teacher, powerful preacher, and compassionate shepherd, who is full of the Holy Spirit.